Patron Fr. Padraig Kennelly, President John Doran, (Senior), Chairman Sean Doran, Vice Chairman John Kennedy, Secretary Mark O Hanlon, Assistant Secretary Kathleen Carmody, Treasurer John Joe O Carroll, Assistant Treasurers Tom O Sullivan and Ivan Tydings. Registrar Kevin Mulvihill, Scor Officer Kathleen Carmody, Development and Safety Gerdie O Carroll, Children Welfare Officer Aine Kennedy, Alcohol and Substance Abuse Officer Kathleen Carmody, Coaching Officer John Kennedy, P. R. O. Jack Hennessy, Delegates County Board Oliver Kearney, North Kerry Mark O Hanlon and Patsy Coughlan, Senior Team Management Team Trainer, John Kennedy, Selectors; Dan Dalton, Sean Doran,Mike Enright. This is not a history of the club, but hopefully will provide the community with an insight into the many people who kept the tradition going over the years and the great feats achieved by local teams during this period. The first local team emerged in 1905 and were called Craughdarrig Emmets. The origins Of Gaelic football in Asdee goes back to the beginning of the century and in this article I shall attempt to breeze through many of the glorious moments which are now inscribed into the annals of local history. This is not a history of the club, but hopefully will provide the community with an insight into the many people who kept the tradition going over the years and the great feats achieved by local teams during this period. The first local team emerged in 1905 and were called Craughdarrig Emmets. At that particular time the game was played with 17-a-side. A North Kerry Board did not exist at that time and it was up to each individual team, to arrange their own games against teams from the North Kerry area. Games were not just confined to 'the locality and the Craughdarrig team regularly boated across the Shannon for games against Clare teams which often turned into great social occasions. A close camaraderie was built between the teams, over the years and the Bannermen also made return trips to Asdee. The games were usually played in the Sliss Field and this went on until well into the The 30s. The first North Kerry League was established in 1919 with Faha entering a team which included a number of Asdee players including Jack Boyle, Maurice Wren, Sean Coughlan and Garret Boyle. The emergence of the Black and Tans, the tragic Civil War and general political strife that followed brought football to a standstill throughout Kerry for a few years. in 1925 the North Kerry League was kick-started again and Jack Walsh and Bob Stack, two of the county's all-time greats, had now appeared on the scene and a great Faha team was built around them. They reached the final in the first year and lost to a superb Moyvane side in the final after a replay. The games attracted huge crowds and provided the North Kerry Board with badly needed finance. Gate receipts from the drawn game reached Â£104 at 6 old pence per head and Â£98 was collected at the replay. In 1927 Craughdarrig were also back in harness again, this time as a junior team and reached the North Kerry final but were beaten by Ballydonoghue. In 1934 a great team was put together that brought the first North Kerry title to the area, but unfortunately shorty after this match the North Kerry Board was disbanded due to political differences and no medals were presented. The 1934 panel was: Jack Boyle, Ger Kennedy, Jack Walsh, Con Carmody, Johnny O'Hanion, Bill Finucane, Mick Lynch, Bill Moran, Eddie Walsh, Tom Healy, Jack Boyle (Clounamon), Vinnie Deenihan, Mick Gorman, Bill Boyle, Jack Moriarty, Eddie O'Connor and Jim O'Carroll. Many players from Beale were on the team even though they were in the Ballybunion parish, but at that time there was no parish rule. The North Kerry Board was formed again in 1936 and the next big day in Asdee football was the North Kerry semi-final against Ballylongford in Tarbert, a game that is still spoken about in the locality. It was a novel pairing between two teams from the same parish and not surprisingly, it got the adrenaline going among players and supporters. The team by now had accumulated a big following, and every able bodied person from Beale Hill to Ballybunion were in Tarbert for the eagerly awaited showdown. The game hung in the balance all through but Bally emerged victorious by two points at the final whistle. The highlight of the game was a magnificent performance at corner forward by 45 year old Jack Moriarty. At this stage many of the older players retired while others were forced to emigrate and the team in general went into decline. The club was back in business again in 1947 where they competed at intermediate grade with the present president of the local club Tommy O'Connor elected as chairman. Their rise to fame was rapid and in 1950 they created a further piece of history for Asdee by bringing the first intermediate title to the village by defeating Listowel in the final. The team was: Batty Whyte, Johnny Culhane, Michael Deenihan, Timmy Carr, Eddie Walsh, Patrick Carmody, Jack Flavin, Tommy O'Neill, Patsy O'Carroll, Tom Sheehy, John Ryan, Tom Hennessy, Der Mulvihill, Tommy O'Connor and Fonty Stack. Patrick Carmody sustained an injury during the game and was replaced by Johnny Whyte. in the mid 50s Asdee again produced some great teams and they had a great run in 1955 but were defeated by Moyvane in the final. However, the team hit the victory train again in 1956 when they defeated Tarbert at the Shannonside village in a memorable final. The team was: Joe Murphy, Mossie O'Carroll, Ned Joe Lyons, Timmy Carr, Tony Stack, Mikie Whyte, Johnny Whyte, Tom Keane, Pat Moriarty, Brendan Boyle, Conor Finucane, Tom Fitzgerald, Tom Sheehy, Tommy O'Connor, Neilie O'Mahony. Fonty Stack missed the final. 1958 marked the last year of Asdee as an intermediate team as they decided to go senior. Even though no honours were achieved they turned in many fine performances. At this stage the teams went into decline again and in the early 60s it was decided to join forces with Ballylongford, culminating in the formation of a most formidable team who won numerous honours. In a twelve year period from 1965 to 1977 they contested 11 North Kerry senior championship finals winning five. They captured three North Kerry senior league titles and won three county intermediate championships, as well as many tournaments throughout North Kerry and West Limerick with Asdee well represented in all the winning teams. However, in 1974 Asdee were back in the picture once again, still part of the set up in Ballylongford. Asdee were affiliated to the North Kerry Board as a junior side and took North Kerry by storm under the chairmanship of the present vice-chairman of the North Kerry Board, Tom O'Sullivan. The team took part in all North Kerry competitions and the county league and novice championship. Highlight of the year was their remarkable feat in winning the North Kerry division 2 championship at the first attempt, defeating hot favourites Ballydonogbue in the final in Ballylongford. in the same year we finished third in the county league and also reached the semi-final of the North Kerry league. The winning 1974 team was Mike Culhane, Tim O'Connor, John McCarthy, Jerry Keane, Richard McEllistrim, Pat Holly, Jack Hennessy (capt. ), Eddie Anthony Walsh, Mick Keane, John Joe O'Carroll, Eddie Joe Mulvihill, Ned O'Connor, John Hanrahan, Tim McEllistrim and Mike Wren. Subs., Mike Walsh for John Hanrahan, Paddy Collins for Eddie Joe Mulvihill, Mike Doyle, John Paul Galvin, P.J. O'Connor, John Pius Walsh, James Collins, Matt Flynn, Pat Joe MeElligott (R.I.P. ), and Louis Heaphy. This great triumph also brings back very sad memories with a good friend Jimmy Mulvihill, who no doubt would have been a member of this successful unit for many a year only for a tragic accident in April 1974 that took him away, a man who was one of Asdee's best loved sons. Over the next two years the team did Asdee proud and even though they failed to collect any silverware the team finished well up in the county league table and held their own on the North Kerry scene. By 1978 the team had collapsed with the team failing to fulfil club fixtures and walk overs the order of the day. One of the last matches played was a North Kerry league division 2 game against Tarbert in Ballylongford who won on a scoreline of 1-4 to 0-8. The team that day had some familiar names on the sheet: Leo O'Donoghue, Liam florgan, John Pius Walsh, Ned MeElligott, Tim O'Connor, Jack Hennessy , Gerdie O.Carroll, Fddie Anthony Walsh, Paddy Dee, Tom Gorman, Mike Walsh, Edsic Horgan, John Paul Gaivin, Patsy Coughlan, Mike Doyle. Once again for all those interested in continuing their footballing careers it was back to Ballylongford and many players from Asdee were once again part of some successful sides both at senior and underage level with O'Rahillys. A new era in Asdee football was unfolded in 1986 which was to transform the game in the area. Side by side with our great rivals and fellow parishioners for a number of years it was again decided to go it alone in all competitions. A number of well attended meetings were held to discuss the cluws future and after lengthy discussions it met with approval and so heralded the foundation of St. Mary's GAA club and so heralded the foundation of St. Mary's GAA club and from the outset it had the appearance of a long lifeline about it The first competitive engagement was in division 2 of the North Kerry league against Ballyduff where no one knew the real worth of this team as a unit but by the time the final whistle sounded even in defeat, 1-5 to 0-5, the team showed lots of potential which augured well for the future of the club. The team on that occasion was: Eddie Joe Linnane, Mike O'Connor, Paddy Dee, Sean O'COnnOr, John Gorman, Paddy McElligott, J. P. McElligott, Gerdie O'Carroll, Sean Doran (capt. ), Sean O'Keeffe, John Joe O'Carroll, Micheal O'Connor, Barry Healy, Dan Dalton, jimmy O,Carroll. Subs., Tom O'Donoghue, John Martin Collins, Mike Vallelly, Kevin Mulvihill, Joe Dee, Joe Edgeworth and Mike Breen. I suppose one has to mention the first local derby against Bally, the first of many which was to follow, which drew huge crowds to whatever venue it was played in. The blue and white took the honours in this 'one. The club's first win was in the county novice B competition against Causeway. tl llow"cr, F(ilmore ended our prospects of going further when they defeated us after a replay. lie club decided to enter a tearm in the North Kerry junior championship after faring quite well in the county league and North Kerry league. The Murphy Cup was the Prize for the championship winners and at this early stage of our more or less introduction to charmpionship football, another corner of the parish, Lenamore, provided the Opposition in the Semi-final but the boys in black and amber were equal to the task and qualified for their first final. Gale Rangers, who had earlier won the North Kerry league, provided stiff opposition and were seasoned campaigners. Played at Moyvane, Asdee were lucky to get a second chance following the first encounter. but in the replay, with a few adjustments to the team, and a proud Tim O'Connor of Carrigane accepted the cup. we captured our first trophy. Tim who had previously played with the 1974 team - a 12 year span - was an inspirational captain at corner back. Another member of that side was John Joe O'Carroll who is still going strong- The historic replay team was Sean Whyte, Sean O'Connor, Tom O'Sullivan, Tim Connor (capt. ), John Gorman, Paddy Dee, Mike Vallelly, J.P. MeElligott, Gerdie O'Carroll, Micheal O'Connor, John Joe O'Carroll, Paddy McElligott, Dan Sheehan, Scan Doran, Donie O'Keeffe. Subs., Mike Moloney, Eamon Collins, Tony McElligott, Leo O,Donoghue, Fergus O'Connor, Joe Dee, Kevin Mulvihill, Joe Edgeworth, Jim Edgeworth, Jimmy O'Carroll, Mike O'Connor, John Griffin, Sean O'Keeffe. The final score was Asdee 1-5, Gale Rangers 0-3. We enjoyed another outstanding year in 1987, winning the North Kerry League division 2 title, defeating our neighbours Bally B in Ballylongford on Saturday, October 1Oth, by a single point. This was not a game for the faint hearted as there was never more than a kick of the ball between the sides. As the game entered the final quarter, J.P. MeEllicOtt broke the deadlock when he pointed from 20 metres to put two points between the sides. Bally replied with a point but Asdee held out for a memorable win on the scoreline of Asdee 0-6, Bally B 0-5. The team was: Sean O'Keeffe, Tim O'Connor, Tom O'Sullivan, Tony McElligott, John Gorman, Paddy Dee (capt. ), Mike Vallelly, Gerdie O'Carroll, Sean Doran, Micheal O'Connor, Mike O'Connor, Donie O'Keeffe, Dan Sheehan, J.P. MeElligott, John Joe O'Carroll. Subs., Jimmy O'Carroll, Paddy McElligott, Eddie Walsh, Patsy Sheehan, Patsy Coughlan, Luke McElligott, Joe Dee, Stephen McElligott, Eamon Collins, Sean Whyle, Kevin Mulvihill, Johnny O'Sullivan, Sean Deenihan and Mike Moloney. The jack Walsh cup, which was donated by he Walsh family, was first played for this year also and Asdee defeated Lenamore in the final in Ballylongford. Asdee also had a great run in the intermediate championships defeating Moyvane in the final, but lost to Ballyduff in the final after a replay in a very exciting game. Success continued unfolding another chapter in the short history of this newly formed club. The past two years were times to remember and 1988 was not any different. their debut in Division 1 of the North Kerry League they performed quite admirably against the big guns and caused a few upsets during, the league. The club were invited into the Holly Cup, a senior tournament organised by the Tarbert club. Asdee defeated the hosts in the semi-final that will long be remembered, but surely the black and amber brigade came of age in the final against Moyvane played at Shannon Park, Tarbert, on August A 15th. Very much the underdogs, Asdee turned in a performance that will long live in the history of the clubs achievements. Everyone played their Part in this great triumph but a special mention for John Kennedy who scored no less than 12 Points to cap a scintillating overall display. The county Novice B championship was next on the fixture list. We defeated Clounmacon at Listowel in the opening round but Gale Rangers proved a tough nut to crack ill the semi-final at the same venue. However, the game was put out of Rangers reach in the final 10 minutes. In the final Ballyheigue proved to be worthy opponents and only for a mighty effort from each Asdee player the title could have gone to the seasiders but instead an inspired John Kennedy performance who scored eight points of the tally of 0-9 set Asdee on the road to victory. The village of Ballyduff was covered in black and amber flags as John Joe O'Carroll accepted his second cup to add to the club's success to date. Asdee ended up in a promotion play-off in the county league with Kenmare but they were defeated on the day which was a source of disappointment in what otherwise had been a wonderful year for the club. The county novice team was Tom Gorman, Tom Kennedy, Tom O'Sullivan, Sean O,Keeffe, Gerdie O'Carroll, Mike O'Connor, Mike Vallelly, John Kennedy, Sean Doran, Micheal O'Connor, Paddy Dee, Donie O'Keeffe, Fergus O'Connor, J.P. MeElligott, John joe O'Carroll, (capt.). Subs., Tony McElligott, Eric O'Neill, Mike Moloney, Dan Sheehan, Tim O'Connor, Sean Whyte, Paudie Deenihan, Mike O'Donoghue, Paddy Mcelliott. 1989 will not be remembered for having any trophies on the display cabinet but still all teams performed splendidly in all competitions. The novice A county championship was well contested where we defeated Ballymac in the opening round but lost to Kilgarvin at the semi-final stage. In the Mart Cup final Ballydonoghue defeated us after a replay with the game taking place in Ballybunion on January 6th, 1990. The year 1990 will always stand out as the year Asdee won their first trophy 'at senior level in North Kerry, in capturing the Mart Cup. This competition was organised for losers in the first round of the North Kerry senior championship and very often proved to be a very hard competition to win. Locally this Year, it was extra special as it brought together great rivals and fellow parishioners Asdee and Ballylongford. After taking, care of Brosna which took extra time to decide in a marvellour game, the whole of North Kerry were eagerly awaiting the clash of Asdee and Bally and they weren't disappointed with the match. A record crowd for this competition, a well contested game and a great sporting occasion with football the complete winner. The fnal score was Asdee 1 - 13, Bally 2-6. The team was: Tom Gorman, Tom Long, Tom Kennedy, Sean O'Keeffe, Gerdie O,Carroll, Mike O'Connor, Eric O'Neill, Sean Doran, Barry Healy, J.P. McElligOtt, paddy Dee, Donie O'Keeffe (capt. ), Kevin O'Callaghan, John Kennedy, John Joe o,carroll. Subs., Micheal O'Connor, Tom O'Sullivan, Fergus O'Connor, Tom Stack, Neil O'Connor, Mike Moloney, Kevin Healy and Joe Dee. In a senior football tournament run by Foynes GAA club in Shanagolden, Asdee were victorious over Athea 1 - 13 to 1 - 6 in the final after defeating the locals at the semi-final stage. Another historic event arrived on Thursday, April 12th in Finuge when the club fielded a junior team in the North Kerry league against the home side and they marked the occasion with a famous victory, 1-2 to 0-4. The team was: Joe Dee, Neil O'Connor, Tim O'Connor, Johnny O'Sullivan, Eamon Doran, JimmY O'Carroll, James Vallelly, Sean Doran, Peter Stack, Tom Long, Patsy Sheehan (capt. ), John Deenihan, Sean Deenihan, Sean Whyte, Mike O'Donoghue. it is worth recalling that Michael Walsh, who was the only selector at the game, got assistance from Tom O'Sullivan and Jack Hennessy . They continued to impress in other competitions and defeated Duagh to reach the semi-final of the Murphy Cup against Ballydonoghue in Ballylongford. Yes, this was the same competition that the club won as a junior side in 1986 and how ironic it would be if our B team, in their inaugural year could once again lift the Murphy Cup. The competition ran late and was deferred to 1991 The year 1991 saw the club continue where they left off and this first engagement was the 1990 Murphy Cup semi-final against Ballydonoghue and after a great contest Asdee advanced to the final against Brosna, a game which was scheduled for Duagh. It proved to be a great occasion and a late Fergus O'Connor point saved the day for Asdee and gave them another bite of the cherry. In the replay Asdee took a firm grip of the game at an early stage and they celebrated their greatest hour since their formation, winning on a scoreline of 2-7 to 1-5. Paddy McElligott was an inspirational captain and led by example, scoring 1-4. The team which lined out for the replay on May 13th, 1991 was: Sean Whyte, Patsy Sheehan, Sean O'Connor, Tim O'Connor, Johnny O'Sullivan, Neilie Buckley, Neil O'COnnor, Barry Healy, Mike Moloney, Fergus O'Connor, Paddy McElligott (capt. ), John Deeniban, Kevin Healy, Mike O'Donoghue, Dan Sheehan. Subs., Tucker Stack, Scan Deenihan, Padraig Vallelly, Kevin Vallelly, P.J. O'Connor, Martin Barry, Joe Dee, Peter Stack, Tom Long, Martin Costello and Joe Edgeworth. Subs from semi-final, Jack Muivihill and Eamonn O'Connor. Our senior team, now much respected in North Kerry, continued to impress daring a tough division 2 campaign. They qualified for the division 2 North Kerry semi-final the hard way, defeating Knocknagoshel in the last round of the league with a last minute goal by j.p. MeElligott to clinch victory. And if this wasn't enough, we ended up having to play the opposition again in a play-off in Listowel and again we got through for another crack at our rivals Ballylongford in the North Kerry semi-final. This time it was their B team which provided the opposition but it didn't make any difference, as all the encounters were well contested and this was no exception. After a terrific game Asdee just about deserved their win by 1-11 to 2-5 and so reached their first North Kerry league final. Tarbert, who were league holders and North Kerry c senior champions at the time, were the opposition and before a huge crowd at Moyvane, Asdee further advanced their reputation with a stunning victory that inscribed their name on the North Kerry league division 2 cup for the first time. Sean Doran was an outstanding captain, Barry Healy was named man of the match and John Kennedy scored 1-10 of Asdee's tally. The final score was Asdee 2-15, Tarbert 3-9. The team was: Tom Gorman, Gerdie O'Carroll, Tom Kennedy, Sean O'Keeffe, Kevin O'Callaghan, Mike O'Connor, Eric O'Neill, Sean Doran (capt. ), Barry Healy, Micheal O'Connor, Paddy Dee, Donie O'Keeffe, John Kennedy, J.P. McElligott and John Joe O'Carroll. Subs., Tony McElligott, Mike Moloney, Tom Long, Johnny O'Sullivan, Sean WhYte, Martin Costello, Eamon O'Connor, Neilie Buckley, John Deenihan and Padraig Valleiiy. In the Foynes senior football tournament Asdee retained the Mike Mullane cup defeating the locals in the final 2-13 to 0-6. 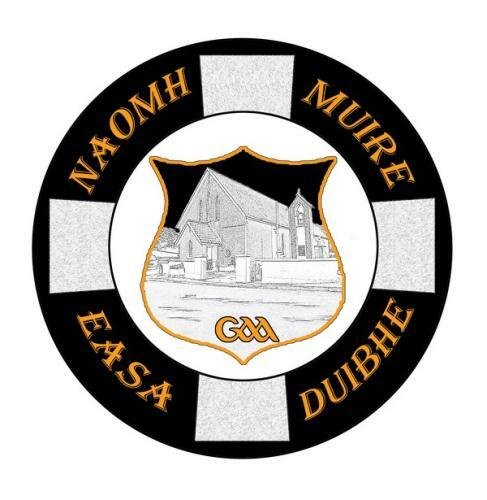 Duagh provided the opposition in the first round of the novice A championship, where we got through to play Derrynane in the quarterfinal where we advanced to meet Ballyduff in the semi-final. However, we were well beaten in this game by 1-12 to 0-6. From 1992 to 1994 were lean years for Asdee. The seniors were defeated by Ballydonogbue in the Jack Walsh Cup final but were unlucky to lose to Finugue in the senior championship in 1992. Our juniors qualified for the latter stages of the Cahill Cup only to fail to St. Senans 2-7 to 2-4 in the semi-final. This was the first time reaching the final stages of this competition. In 1993 our seniors just could not get the vital scores to secure victory over St.Senans in the replay Of the North Kerry senior championship. We entered a minor team for the first time on March 27th against Duagh in the county league. In 1994 the juniors reached the quarter-final of the Murphy Cup, going down to Brosna. The seniors put it up to Desmonds, former all-Ireland club champions, in the The senior North Kerry senior championship at Finuge and Beale won the Jack Walsh cup. semi- final. 1995 was another successful year with the seniors having a marvellous season in capturing the North KerrY intermediate championship but not until after some anxious momnents and very exciting games. Bally B were as always ready and waiting, for the semi-final clash. We always seem to have to face Bally, it's like a magnet drawing both teams together. It was a very tense week prior to the game and must rank as one of the most talked about games for quite a while. A bumper crowd at Ballylongford saw the sides finish level at 1-8 each and it was back to home ground for the replay and more drama and excitement where it took extra time to separate two evenly matched sides. Asdee got the verdict in the end, 2-20 to 4-20. Moyvane were our opponents in the final played in Ballylongford on Wednesday, August 9, and another large crowd saw a great battle with John Kennedy saving the day for Asdee with a magnificent point from near the end line to end the game all square, 0- 11 each. The replay was on August 31 st at the same venue and on this occasion Asdee made no mistake and captured the intermediate trophy in 1995. It is worth noting that the gates for these exceeded all intermediate championships down through the years. Long live Bally and Asdee. The only change in the teams for both games was Barry Healy replaced Danny Finucane for the replay. The team was: Gerdie Carroll, Martin Costello, Tom Kennedy, Kevin O'Callaghan, Mike O'Connor, Jerry Lyons, Tom Long (capt. ), Sean Doran, Sean Mulvihill, Patrick O'Brien, Mike Griffin, Eoin O'Mahony, John Kennedy, Barry Healy, Ger O'Connor. Subs., Donal O'Carroll, Sean "Black" Stack, Neilie O'Connor, J. P. McElligott, Donie O'Keeffe, Danny Finucane and John Joe O'Carroll. The league campaign was also very impressive with just a few minor obstacles on the way which cost the club promotion. Nevertheless, with the team well up in the top four in the league we qualified for a tilt at Ballyduff in the semi-final and were successful. Castleisland were our opponents in the league final at Finuge on Wednesday, September 6th. We never played to our potential on the day and the chance of a league and championship double failed, going down 0-12 to 0-6. After all the years of striving to get out of division 5 of the county league, it finally came to pass in 1995 and another chapter was written for the local sporting history books. A glorious run in the county league meant a play-off for promotion to division 4 if we could overcome Skellig Rangers. The mission was accomplished and the team was: Gerdie O'Carroll, Kevin O'Callaghan, Tom Kennedy, Joe McEntaggert, Padraig, Vallelly, Martin Costello, Tom Long, Sean Doran, Sean Mulvihill, Patick O'Brien, Donie O'Keefe, DannY Finucane, Eoin O'Mahony, John Kennedy and Ger O'Connor. Subs., Kevin VallellY, Mike Griffin, Neil O'Connor and John Joe O'Carroll. Our Juniors reached the Murphy Cup final only to fail to Gael Rangers. And so we come to 1996 and many important decisions were ironed out and the field opening date was confirmed. The seniors reached the North Kerry league division 3 final only to be defeated by Ballydonoghue which was the club's second year in succession to be defeated at this stage of the competition. However, as a result of winning all our games in the league promotion to division 2 was gained for 1997 and a meeting with some of the top clubs in North Kerry. The county league performances were magnificent as this was a most difficult division to be in but the team showed real character and were most unlucky not to gain promotion to division 3. The juniors failed again at the semi-final stage of the Murphy Cup to bogey team Gale Rangers. Then came the glamour competition in North Kerry, the senior championship where we were drawn against Ballydonoghue with the game scheduled for Moyvane. A very well Prepared outfit gave their all and got the reward and the rest is history and for the first time in the clubs history we reached the second round of the championship. In the quarter-final against Listowel, an injury hit Asdee side failed to live up to expectations and lost 0-11 to 0-6 at Ballybunion. Mulvihill. Final Score - Asdee 1 :: 10 - Ballydonoghue 1 :: 09 - Referee: James Chassie Cronin, Duagh. Both juniors and minor teams lost in the latter states of the league on both occasions to Duagh. And so we move on 1997 which will always remain as the biggest day in the clubs history. The opening of Thay Jack Walsh on Sunday June 8th PRO of Cumann Luthchleas Gael, Danny Lynch and now president of the GAA, Sean Kerry were among the invited dignitaries present for our official opening. On the playing field we didn't enjoy very much success. Our minors had good wins over Brosna and Abbeydorney. Listowel Emmets had a 2-18 to 0-6 win over us in the North Kerry Championship and that was about it. However we did have an under 16 County title to celebrate. Moving along to 1998 and we were still looking back to those early years when the club was reformed in 1986 and the great success we enjoyed. However we must take the bad with the good and even though the trophies weren't as plentiful we were still hanging in there and still managing to bring glory to our end of the parish. All teams were competing in both County and North Kerry in all grades of competition. Our minors created their own piece of history that year when they defeated St. Senans in the Division 3 North Kerry Championship final which was incidentally not played until Sunday February 21st 1999 at Stack Park Ballybunion. Asdee 1-7 - St. Senans 0-2. Minors who did get a good start to the season did have impressive victories in both County and North Kerry leagues. Knocknagoshel knocked us out at the North Kerry Semi-Final stage having reached the North Kerry Championship Semi-Final our juniors went down to Clounmacon.Our seniors put up a magnificent performance in the North Kerry Senior Championship at Listowel before going to former All Ireland Club Champions Desmonds on a 3-11 to 1-9 scoreline. Subs; MichÃ¡el Walsh, Kevin Lynch, Dan Kearney, Sean Doran, and Liam Collins. the Junior North Kerry Championship at the Semi Final stage. Eoin Kennedy got on the Kerry Primary schools team and scored the winning point of the game that year. In 2001 we still were hitting the headlines with success on the playing fields. Victory over Ballyduff 'B' in the North Kerry Intermediate Championship Final at Stack Park , Ballybunion was certainly the highlight of the year winning on a scoreline of Asdee 0-8 to Ballyduff 1-3. Our juniors reached the division 4 shield final but went down to Emmets 1-11 to 1-4. 2002, maybe no silverware but unlucky on a few occasions especially as both seniors and juniors having reached North Kerry Finals having been impressive in their run in to the North Kerry Intermediate Championship Final. Our seniors after having the game at their mercy. Took their foot off the pedal and were caught napping in the final quarter by Knocknagoshel. However a controversial goal late in the game seemed to upset our plans. Final score Knocknagoshal 3-7 to Asdee 0-7. This was not the case with our junior squad who were drawn down 11 points at the break but staged a remarkable recovery to reduce that defeat to a single point at the final whistle in the North Kerry League Divisions final again going down to Knocknagoshal 3-4 to 0-12. In the County Novice Championship it was again Knocknagoshal who provided the opposition in round 1 and after a draw our seniors went down 2-11 to 1-5 in the replay. There were other bright spots on the year with many of our underage players helping Ballylongford win underage titles. Eoin Kennedy and Tomas Mulvihill won under-14 County Championship medals with Shannon Rangers. 2003. Well, looking back on 2003 we have nothing much to report on the playing fields. I suppose immigration certainly has taken its toll but I'm sure we will rise again. We never came anywhere near to winning a competition, we failed to field a junior side, failed to win a single game in the County League and our only consolation was a single victory over Moyvane in Division 3 of the North Kerry League. Further victories were achieved by our underage with Ballylongford winning county and North Kerry titles. The club ran a very successful field development draw with proceeds going towards the development of the Jack Walsh Memorial Park . Shannon Rangers under 14 squad won back to back County titles with John Kennedy at the helm again. Eoin Kennedy, Eoin O'Carroll were on the squad while not be out done. Rangers minors won the County shield with Noel Long and Padraig Ruddle on the panel. But, certainly the year ended on a high note with for the club when John Joe O'Carroll was elected joined treasurer of the County Board . Again history was made as he is the first County Board officer to be elected from the club. 2004 came and went with days to remember and days also that we would not bother to mention.However despite little success on the playing fields St Marys always held their heads high and always look to brighter days that may lay ahead. Our Seniors reached the semi final of the North Kerry Division 2 League,Intermediate Championship and the County Novice Championship, loosing the latter two by a single point margin.County League results continued to be not very favourable but on saying that the team played their games and never failed to field. The club were represented on all Shannon Rangers teams that took part in competition John Kennedy trained the under 16 side that reached the County Semi finals and the back to back under 14 teams that won County titles in the previous years. A presentation night in the Carmody Hall Ballylongford to present the Under 14 team with their medals ,Eoin Kennedy and Eoin O Carroll were playing members. Patsy Coughlan Vice Chair and Eddie Anthony Walsh Treasurer once again were Officers of the Rangers, The Club honoured the successful County Senior Football Champions of 1964 at a very well organised function at the Golf Hotel where the local club were well represented.Paud O Donoghue along with the late Eamon O Donoghue and Micheal Walsh were on the winning team. Moving on to Scor and certainly the club have plenty success down through the years with the year 2004 no exception, At Senior Scor the Novelty Act team of Anna Maria Tydings, Nora Stack, Donal Dalton and Jack Hennessy won a County Title but were most unlucky not to have reached a Munster Final having been beaten at the semi final stage in Currow Mattie Quinn Quintronic Church Street Listowel kindly sponsored this competition.In Junior Scor it was again the Novelty Act team who won a North Kerry Title, Con Carmody,Orla O Carroll,Maura Doran Eamon McElligott and Patricia Doran The Sponsor of Junior Scor was local businessman Tom O Sullivan of O Sullivan Agri Supplies Kilcolman. Scor NaBpaisti had another local sponsor in Feale Oil Products thanks to Con and Kathleen Carmody Larha. Now this competition has been in operation only for the past two years and has been a huge success with the competition strictly for National Schools only.The local club have taken an active part each year and are still awaiting that first North Kerry win.Venue each year has been the local Community Centre. To finish off Scor business for 2004, a presentation night was held in the Austin Stack Park Pavilion Tralee, this was organised by the Officers of Scor Ciarrai where Perpetual Cups and Shields donated by Clubs were handed over to the members of the Scor committee to be presented at the upcoming senior finals.The local club donated a beautiful cup for the Recitation section in honour of the late Mike Hennessy who represented the club on a regular basis in this catagory and reached Munster Finals on two occasions during the 90s. In fact the first winner of the cup was none other than Frances Kennedy, Listowel Emmets who has many connections in the Asdee area and was presented by Enda Hennessy son of the late Mike. North Kerry Board continues to have Asdee Officers, Tom O Sullivan as Vice Chairman and the PRO is Jack Hennessy . Patsy Coughlan is a member of the Fixtures committee. John Joe O Carroll who made club history by becoming the first clubman to take Offership at County Board level last year remains in the hot seat. John Kennedy steered his adopted Clare senior footballers to a rare victory to become the first winners of the Tommy Murphy Cup and a trip overseas followed, while at home Gerdie O Carroll took charge of the whistle for his first County final at Fitzgerald Stadium Killarney,the occasion was the County Minor Championship Final. Gerdie was also honoroud by the North Kerry football Board having been chosen as the North Kerry Referee of the Championship. When Michael Cusack moved to Dublin , in 1877, to open his academy preparing Irish students for the Civil Service examinations, sport throughout Ireland was the preserve of the middle and ascended classes. Within Cusack's academy sport was central with students who were encouraged to participate in rugby, cricket, rowing and weight-throwing. In the early 1880's Cusack turned his attentions to indigenous Irish sports. In 1882 he attended the first meeting of the Dublin Hurling Club, formed âfor the purpose of taking steps to re-establish the national game of hurling'. The weekly games of hurling, in the Phoenix Park, became so popular that, in 1883, Cusack had sufficient numbers to found âCusack's Academy Hurling Club' which, in turn, led to the establishment of the Metropolitan Hurling Club. On Easter Monday 1884 the Metropolitans played Killiomor, in Galway . The game had to be stopped on numerous occasions as the two teams were playing to different rules. It was this clash of styles that convinced Cusack that not only did the rules of the games need to be standardised but that a body must be established to govern Irish sports. Cusack was also a journalist and he used the nationalist press of the day to further his cause for the creation of a body to organise and govern athletics in Ireland . On October 11 1884 an article, written by Cusack, called âA word about Irish Athletics' appeared in the United Ireland and The Irishman. These articles were supported a week later by a letter from Maurice Davin, one of three Tipperary brothers, who had dominated athletics for over a decade and who gave his full support to the October 11 articles. A week later Cusack submitted a signed letter to both papers announcing that a meeting would take place in Hayes's Commercial Hotel, Thurles on November 1 1884. On this historic date Cusack convened the first meeting of the âGaelic Athletic Association for the Preservation and Cultivation of national Pastimes'. Maurice Davin was elected President, Cusack, Wyse-Power and McKay were elected Secretaries and it was agreed that Archbishop Croke, Charles Stewart Parnell and Michael Davitt would be asked to become Patrons. From that initial, subdued first meeting grew the Association we know today.